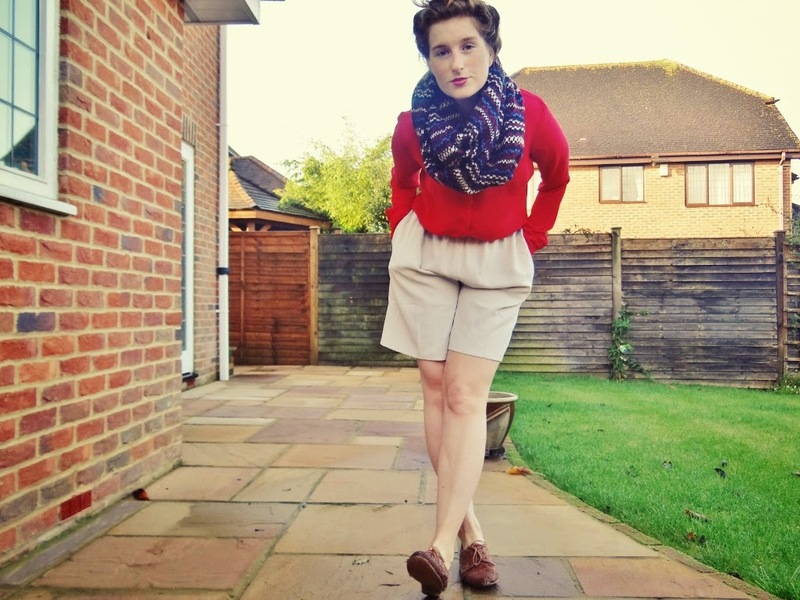 Right Up My Street: Thrifty ASOS Sale Finds. 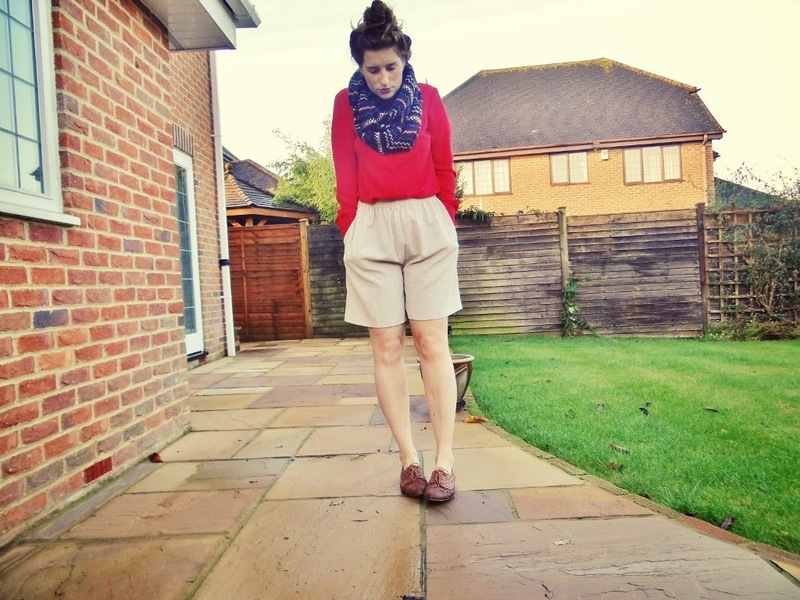 I wanted to brave the cold so I could share with you these fabulous shorts I got my hands on at Asos. Believe me when I say 'they are a right ruddy bargain!'. When browsing for last minute holiday bits I came across these impeccable safari-style cream shorts which I have totally fallen in love with. They are so comfy and couldn't be more suited to my figure, with an elasticated waistband that hugs my waist and flatters my hips - its a win win situation for me! I urge anyone on the hunt for a pair of longline shorts to come right this way as these are currently only £10 in the Asos sale, with plenty of sizes available - I'm sure they won't stick around for long! Also best way to combat those winter blues is by channeling lots of bright and bold colours and tones! I've matched in some autumnal browns with my brogues too. What colours are you channeling this season? 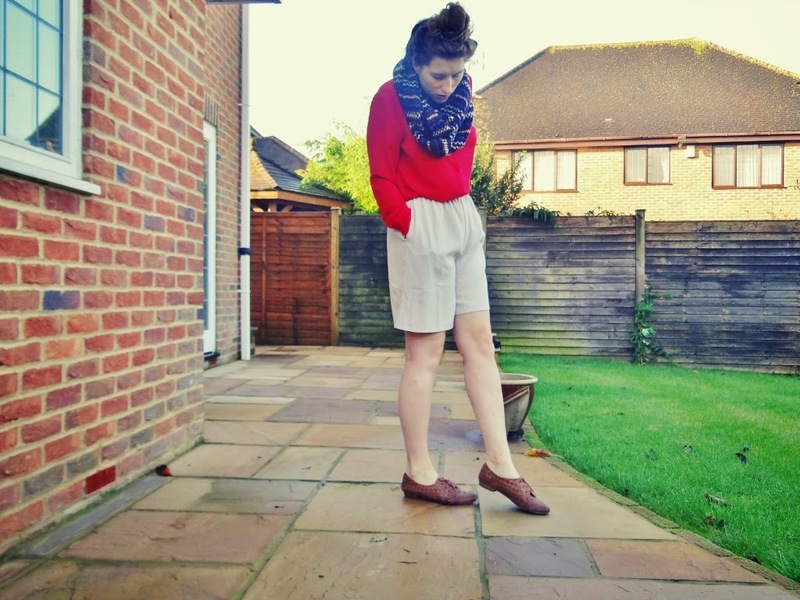 Love this outfit - The shorts are awesome & a complete bargain!